Three architectural firms were challenged by the Vancouver Organizing Committee to design Millennium Water: The Southeast False Creek Olympic Village in Vancouver, British Columbia, Canada, for its first use as a temporary home for many of the 2,600 athletes from 82 nations competing in the 2010 Winter Olympics. (The Olympic Games were held Feb. 12-28, 2010, in venues located throughout Greater Vancouver, as well as in the resort town of Whistler, British Columbia, where additional athletes were hosted.) More permanently, Millennium Water was designed as a sustainable mixed-use residential and commercial community, incorporating not only environmental sustainability but social and economic sustainability goals as well. At 1.4 million square feet and an estimated total cost of $1.075 billion, Millennium Water is the largest single-phase development in Canada. 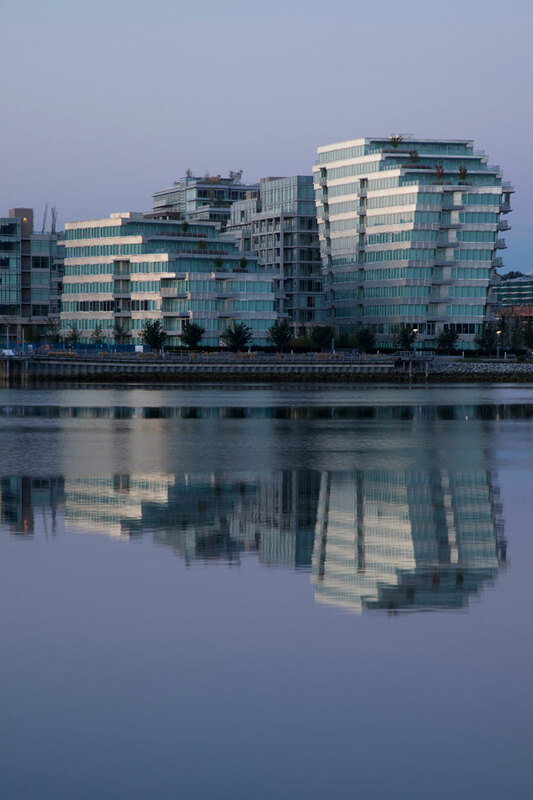 The Olympic Village, which was awarded LEED-ND Platinum status, encompasses seven city blocks and includes 16 residential buildings – all of which were awarded LEED Gold certifications. The Southeast False Creek Olympic Village – which was built on a former industrial site – was designed as a showcase for green building, incorporating leading-edge techniques ranging from green roofs to toilets flushed with the aid of rainwater. The entire complex is heated by sewage; and, renewable energy systems, including solar panels and solar hot water systems, generate power for households. Building materials were chosen for their sustainability, including their embodied energy use over the building’s lifespan in the form of required maintenance and upkeep. Known as Canada House, Parcel 4 served as the temporary home of Canada’s athletes during the Olympic Games. This parcel was designed by Nick Milkovich Architects, Inc., of Vancouver, with Arthur Erickson, CC, the internationally celebrated Canadian architect and urban planner, as a design consultant. The unique design of Canada House incorporates a fish-scale surface achieved with approximately 77,000 square feet of Alucobond naturAL in the 4mm thickness fabricated into 7,000 individual panels. 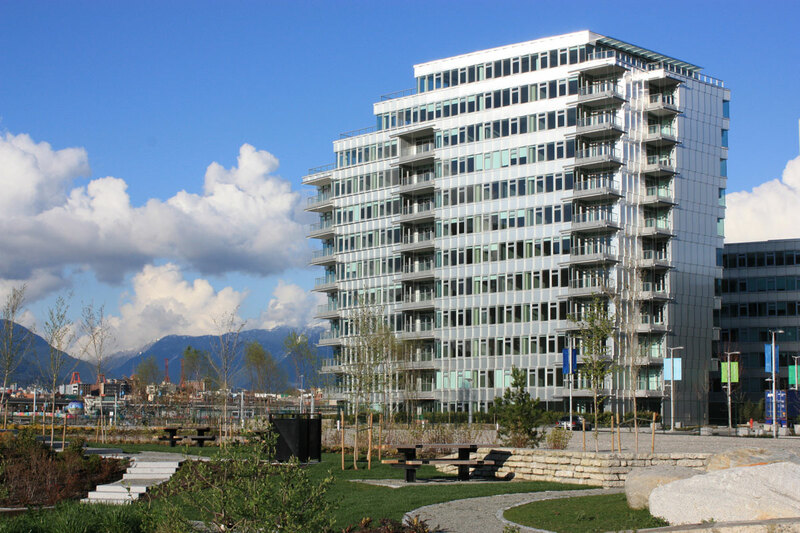 This sculpted architectural image reflects the property’s waterfront location overlooking Vancouver Harbor at the northwest corner of the Millennium Water development. The $75-million Canada House residence consists of two buildings – the 106,100-square-foot 12-story West Building and the 55,750- square-foot seven-story East Building – offering 60 condominium suites. A public courtyard featuring a reflecting pool and light sculpture separates the two buildings. The original building design was reconfigured from a u-shaped massing to two separate buildings to allow the greatest amount of sunlight to flood the courtyard and waterfront public walkway and bike path to the north of the site. The sculptural shaping of the buildings, according to Milkovich, was done to allow more early morning sunlight to reach the public garden and park to the west of the site. To achieve this goal, the west building leans away from the park by 15 feet over its 12-story height through a rotation of floor plates. The same movement was applied to the lower seven-story building. “The resulting dynamic silhouette of the buildings is enhanced by the cladding of glass and brushed aluminum ‘fish scales’ that catch the changing light of the day creating interesting shadows articulating the textured skin,” said Milkovich. “These buildings were very unique in the village,” said Carlo Gatti, business development manager, Keith Panel Systems (KPS) Co., Ltd., in Vancouver, which fabricated the Alucobond naturAL and installed it with the proprietary KPS System “A” Plus, which features a dry-joint pressure-equalized rainscreen. KPS became involved in the project in a design assistance role two years prior to its completion, according to Gatti, who said the design complexities of the fish-scale look required weekly meetings to solve interface connections on the building. KPS proposed the use of Alucobond naturAL in response to the architect’s specification of a natural-looking metal. Each building floor features a fascia band with the fish-scale design fabricated from Alucobond naturAL. At one point in the design process, the architects considered utilizing insulated glass for the fish scales, according to Milkovich, who said this material was rejected as too expensive. 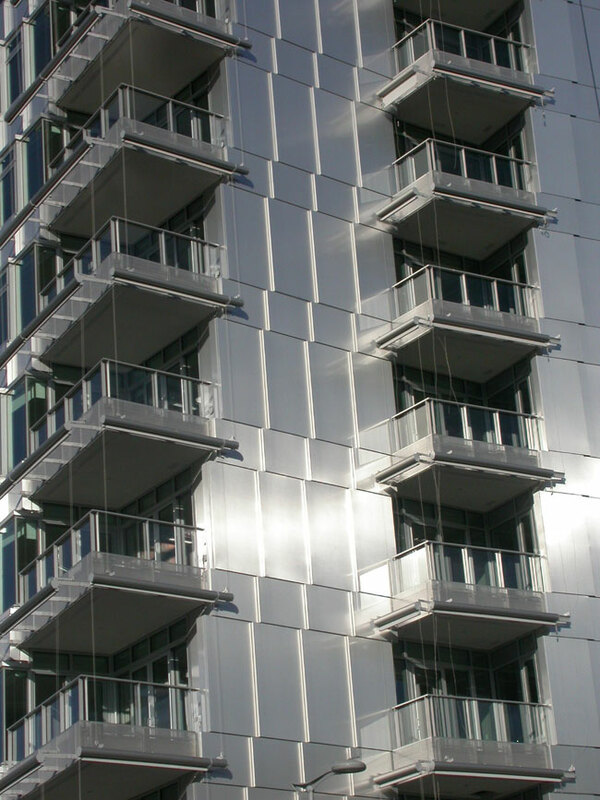 While Gatti often sees architectural specifications for stainless steel to achieve a metal look, one of the reasons he recommends Alucobond aluminum composite material is because it features a clear coat that prevents visible marks being left when it is touched during installation. It took KPS approximately six months to fabricate the Alucobond naturAL panels, according to Gatti, who said the panels were fed to the site as they were required. 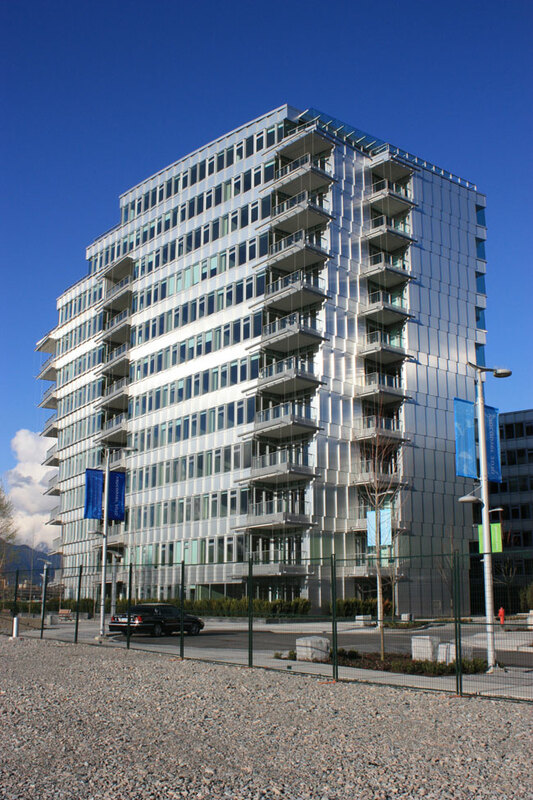 Canada House was the last parcel to begin construction at the Southeast False Creek Olympic Village; and, KPS was the final trade to work on these buildings under the supervision of general contractor ITC Construction Group of Vancouver. Canada House was turned over to the Vancouver Organizing Committee in October 2009. 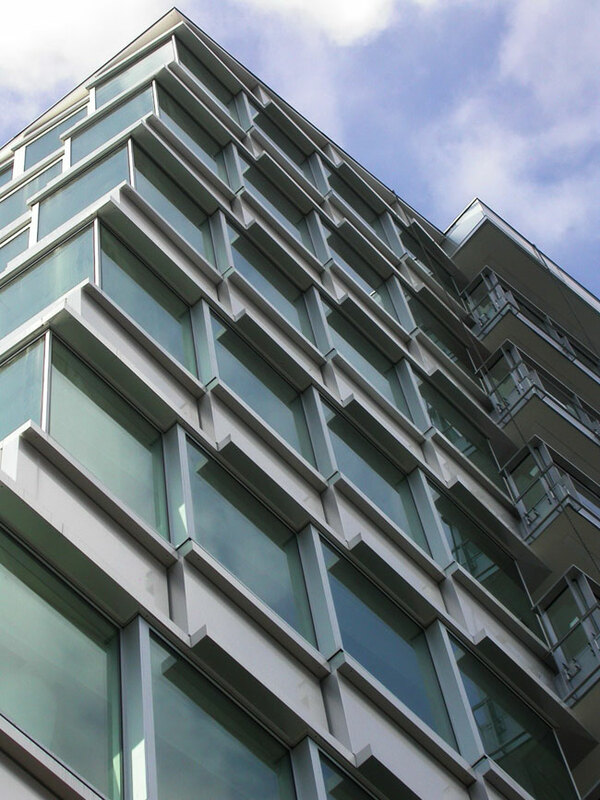 KPS received the 2010 Vancouver Regional Construction Association’s Gold Medal in the President’s Trade Awards category for its involvement in the design, development and installation of the Alucobond panels featured in the KPS System “A” Plus on Canada House.